Since we were still in our house for about 8 days after our pack out, we still needed to have a few things around, such as food, cleaning supplies, bed for DiploDog etc. We told Francisca she could have whatever we left behind. We got a photo from Dulce today of that final pack out. 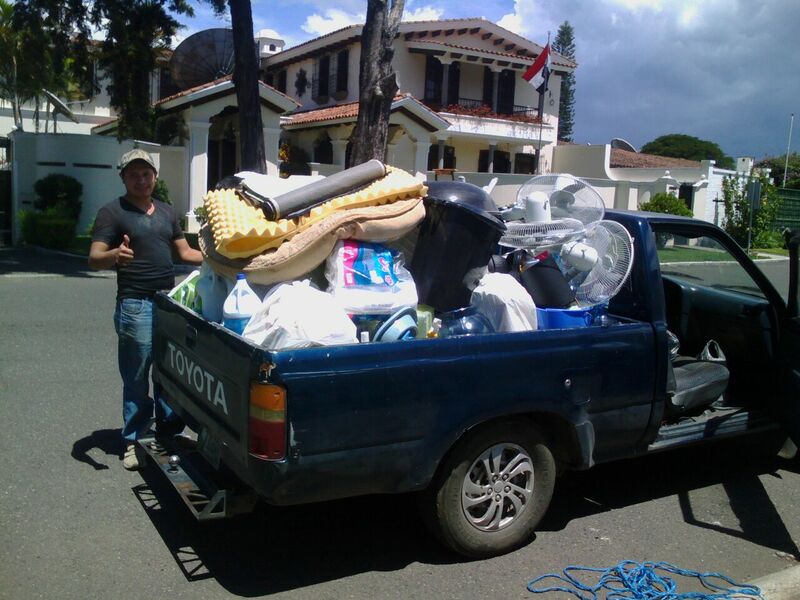 Francisca’s son Luis borrowed a truck to help and here is what it looked like. Toyota trucks are the work horses of Guatemala. They have a couple of dogs. 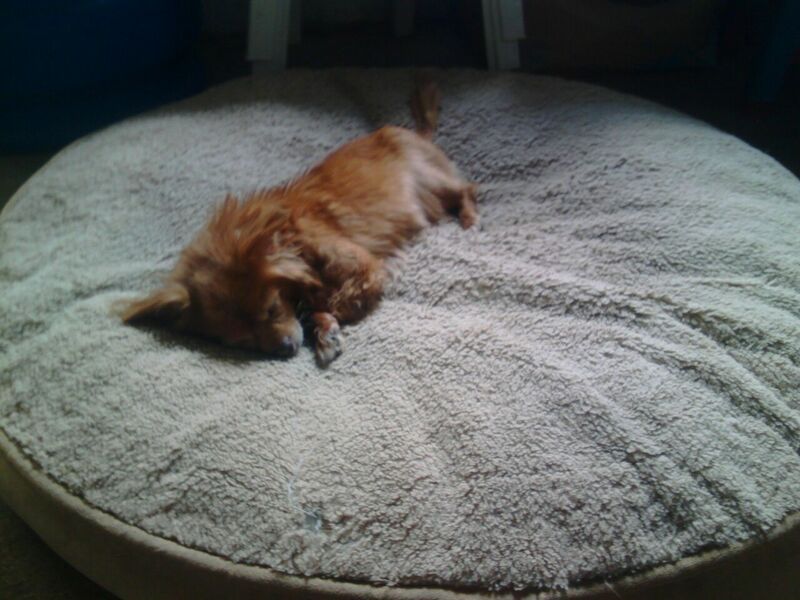 Here is Sisi on DiploDog’s old bed. She definitely has room to spread out.